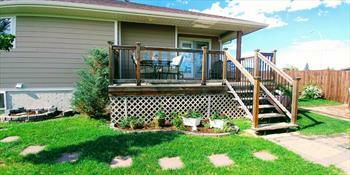 Details:EXECUTIVE BUNGALOW looking for someone to love it as much as we do!! 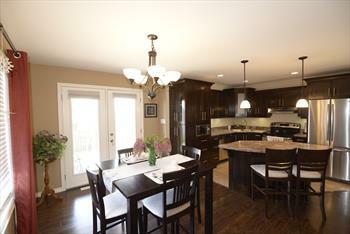 Open concept with gas fireplace, custom cherry cabinetry with soft close drawers and end china cabinet. 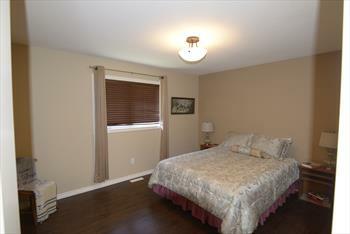 LUXURIOUS master bedroom with walk thru closet to ensuite. Great light from triple pane windows over looking abundant green space and sports grounds/school. The shaded front veranda is a very generous space and the large back deck with natural gas bbq hookup will be perfect for social activities. 2 bedrooms up with 2 more bedrooms separating a 3rd bathroom in the fully developed basement, great for guests or teenagers!! 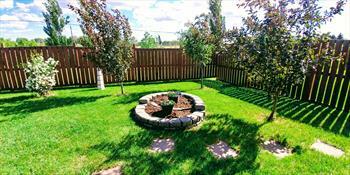 Landscaping is immaculate with plenty of perennials and shrubs, raised flower beds, walkways, and ornamental gates. Two sheds, one previously used for woodworking is powered. Double attached garage. 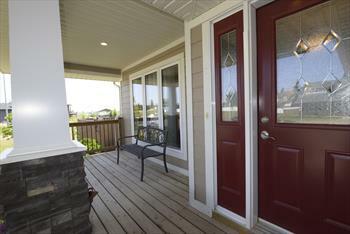 Great value here with 9 foot ICF BASEMENT FOR ENERGY EFFICIENCY! WARM IN THE WINTER AND COOL IN THE SUMMER!! (Ask your realtor about the advantages of an ICF basement) Totally move in ready.